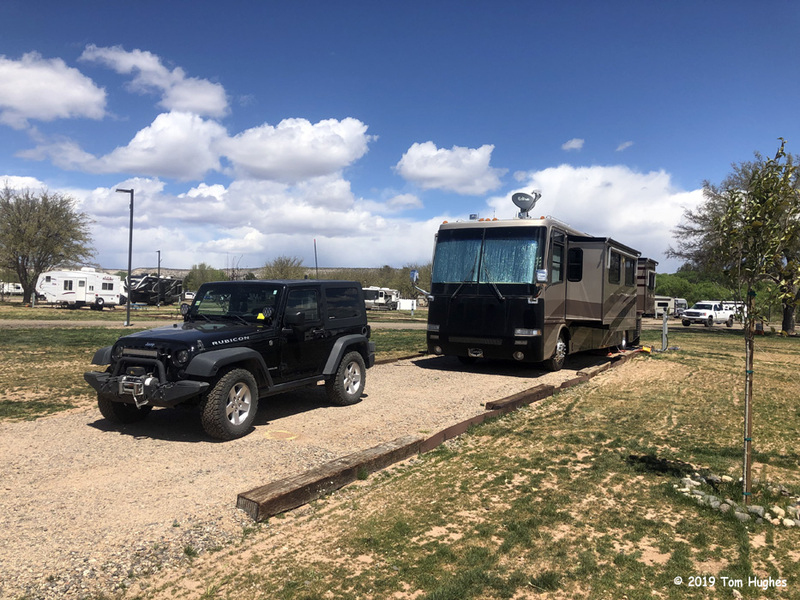 After we left Alamo Lake State Park, we spent one day in Wickenburg, AZ because it was halfway between Alamo Lake and our next destination Camp Verde. We’re staying 4 nights at a campground that looked promising. It’s under new ownership, and the online reviews sounded good. We have strong signals for both Verizon and AT&T, plus the camp WiFi is passable. 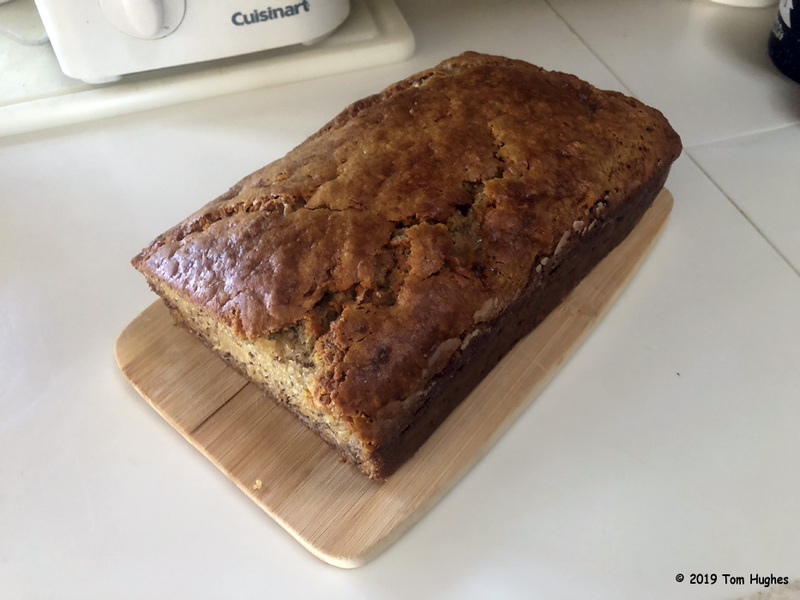 While we camped here, Jan baked a loaf of banana bread in our convection oven . . .
After resting a day, we drove to see the abandoned copper mine in Jerome, AZ which is about 2,000 feet higher in elevation. 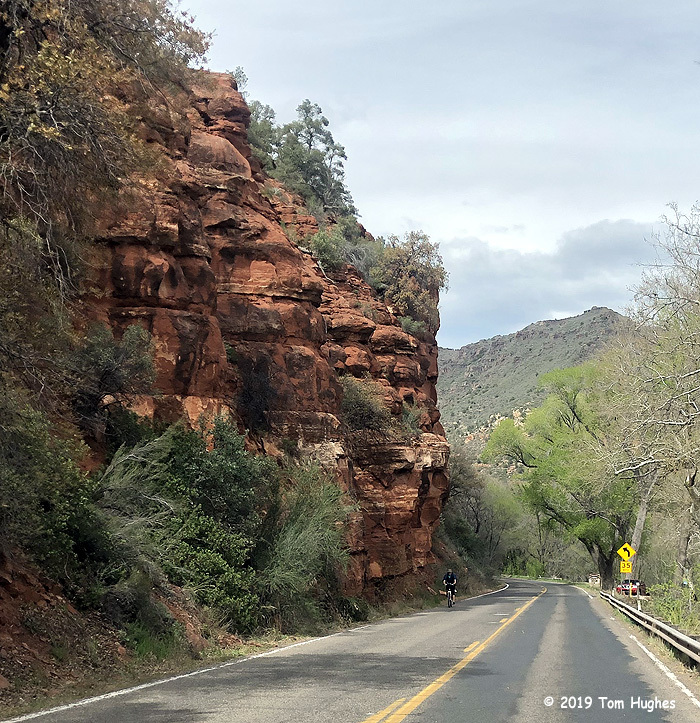 We didn’t really notice, besides occasional ear popping, until we started driving the ledge roads coming into Jerome. Ledge roads have steep drop offs and I was driving the outside lane near the drop off. Nancy, Mary, are you hearing this? Also, most of the buildings in Jerome are built on ledges — steep ledges. 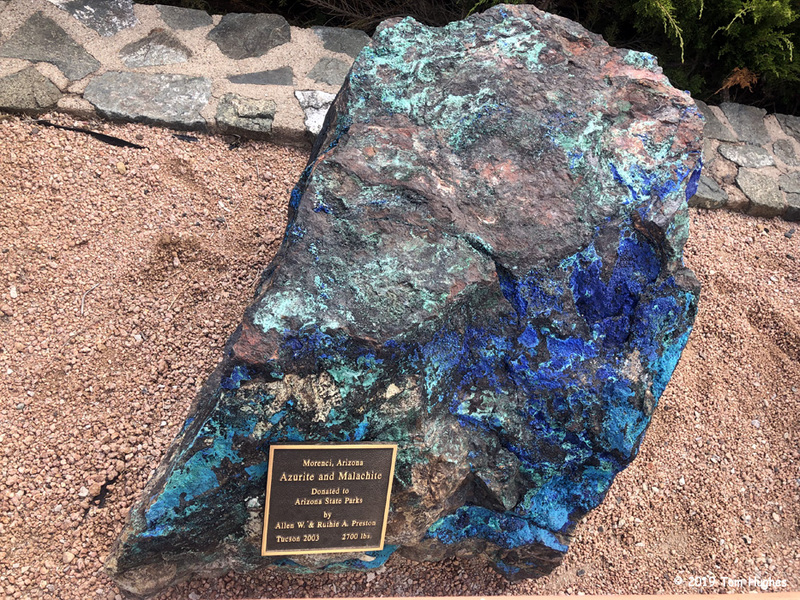 There was a mining museum there and lots of stuff to look at. 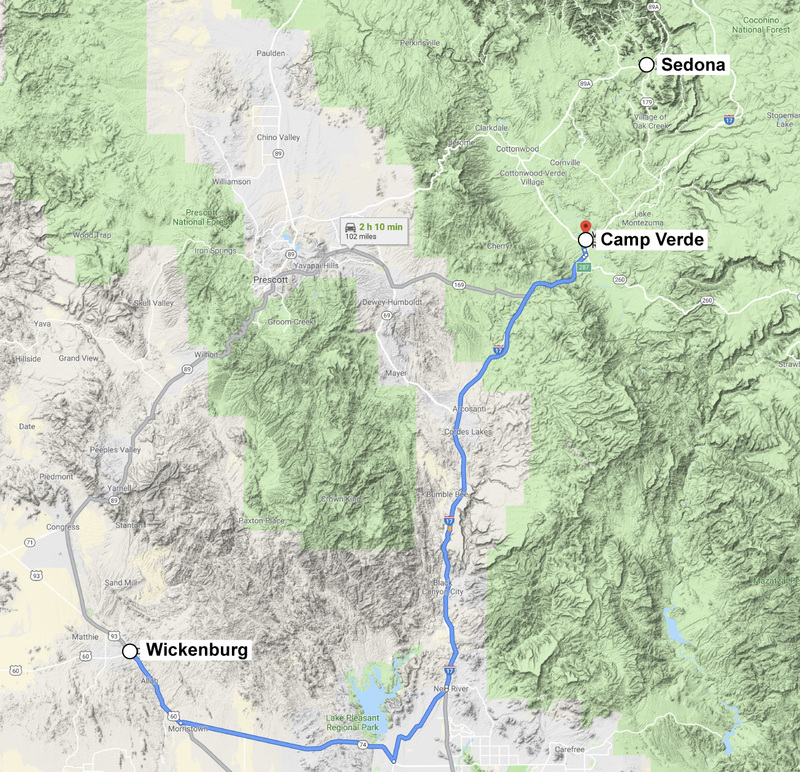 We kinda sorta planned a driving tour of Sedona on our third day in Camp Verde. What a mistake! 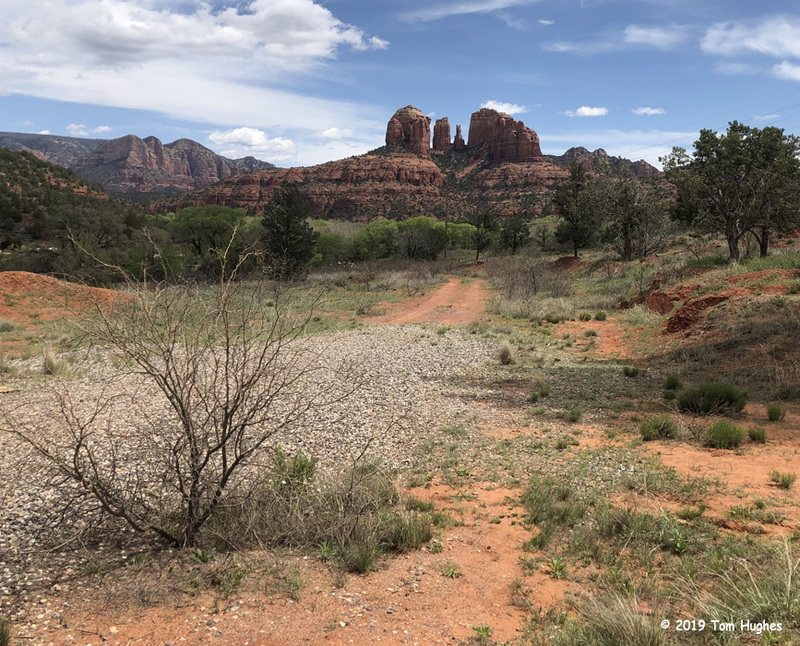 Seriously, if you want to explore Sedona, stay in one of the hotels for a month. 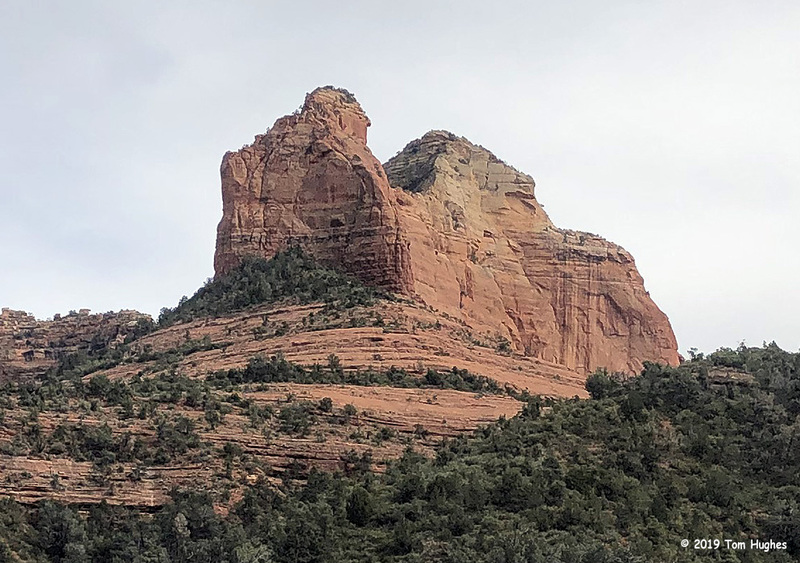 The traffic in and out of Sedona was horrific. There was really no place to stop and take pictures as there was a plethora of PRIVATE PROPERTY, NO PARKING, and NO TRESPASSING signs. Really inviting. High point of this trip was Pizza Lisa where we stopped for lunch. We highly recommend this restaurant. However, we were able to grab a few photos . . . 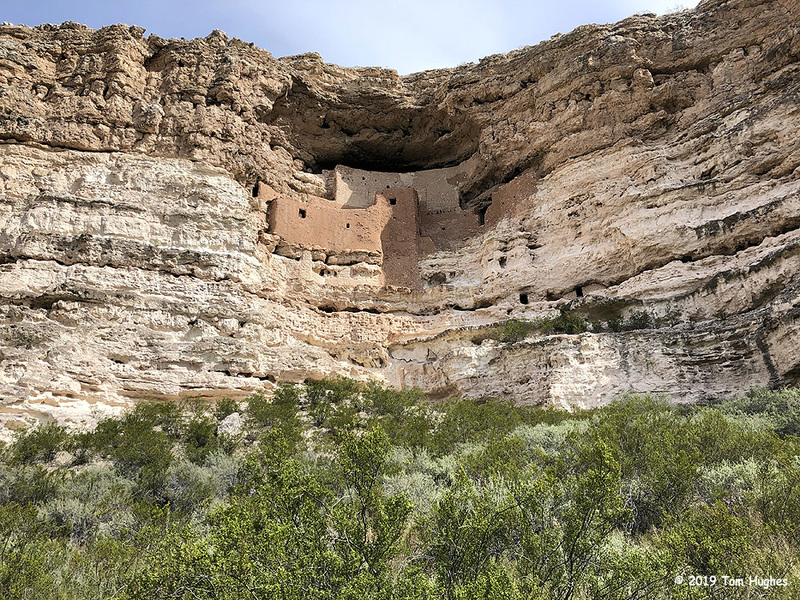 While I slept in on our fourth day here, Jan drove to the Montezuma Castle National Monument just outside Camp Verde. 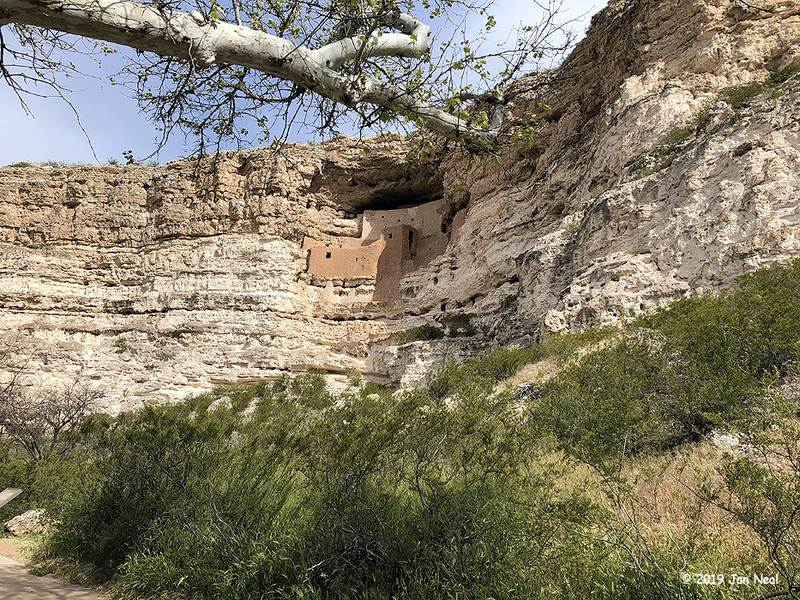 Visitors are no longer allowed inside the cliff dwelling, but Jan did take these photos. Go up to airport for some great sundown photos. Be safe out there.